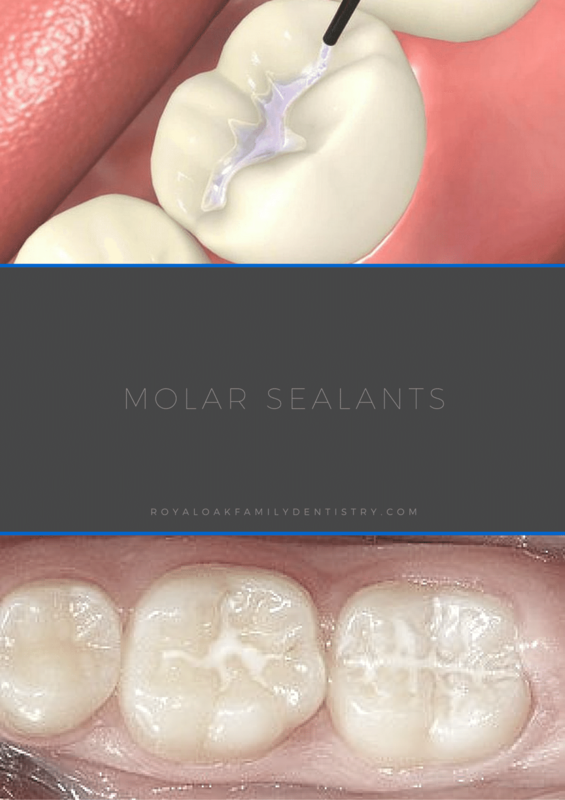 One service that we offer here at Royal Oak Family Dentistry is sealants for children and adults alike. This service is typically done when the molars come in. It includes filling the deep grooves of the molars to prevent cavity causing bacteria from creeping into the grooves where the child, even with the help of an adult, is unable to properly clean. This appointment can be done by either the dentist or the dental hygienist at the child’s cleaning appointment. It is a great option to maintain the overall oral health of the child and decrease the chances developing decay on those important molars down the road. 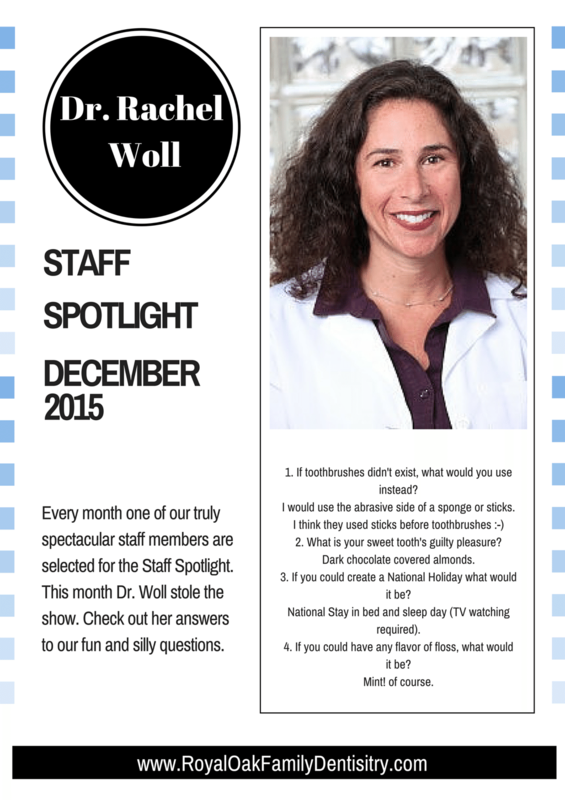 We are so excited to announce our Royal Oak Family Dentistry Staff Spotlight for December 2015 is one of our wonderful dentists, Dr. Woll. Check out her answers to our interview in the graphic above!